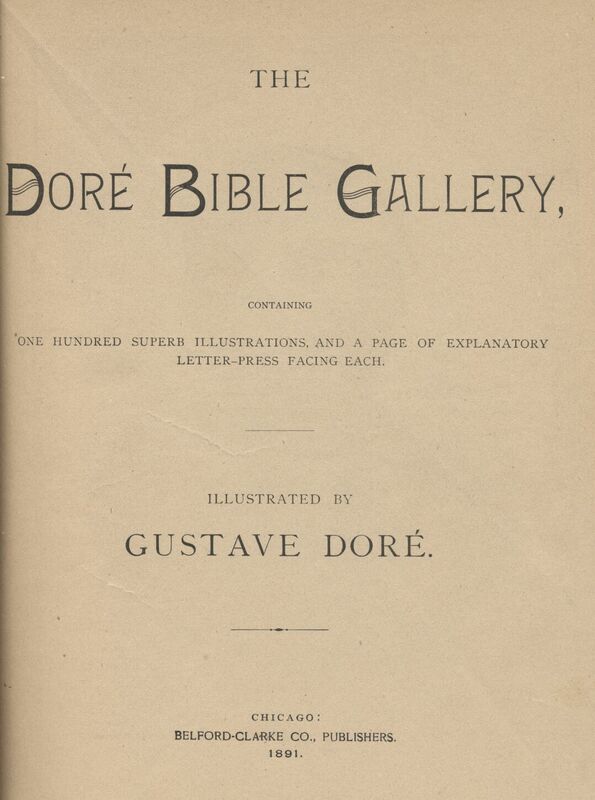 This volume, as its title indicates, is a collection of engravings illustrative of the Bible—the designs being all from the pencil of the greatest of modern delineators, Gustave Dore. The original work, from which this collection has been made, met with an immediate and warm recognition and acceptance among those whose means admitted of its purchase, and its popularity has in no wise diminished since its first publication, but has even extended to those who could only enjoy it casually, or in fragmentary parts. That work, however, in its entirety, was far too costly for the larger and ever-widening circle of M. Dore's admirers, and to meet the felt and often-expressed want of this class, and to provide a volume of choice and valuable designs upon sacred subjects for art-loving Biblical students generally, this work was projected and has been carried forward. The aim has been to introduce subjects of general interest—that is, those relating to the most prominent events and personages of Scripture—those most familiar to all readers; the plates being chosen with special reference to the known taste of the American people. To each cut is prefixed a page of letter-press—in, narrative form, and containing generally a brief analysis of the design. Aside from the labors of the editor and publishers, the work, while in progress, was under the pains-taking and careful scrutiny of artists and scholars not directly interested in the undertaking, but still having a generous solicitude for its success. It is hoped, therefore, that its general plan and execution will render it acceptable both to the appreciative and friendly patrons of the great artist, and to those who would wish to possess such a work solely as a choice collection of illustrations upon sacred themes. The subject of this sketch is, perhaps, the most original and variously gifted designer the world has ever known. At an age when most men have scarcely passed their novitiate in art, and are still under the direction and discipline of their masters and the schools, he had won a brilliant reputation, and readers and scholars everywhere were gazing on his work with ever-increasing wonder and delight at his fine fancy and multifarious gifts. He has raised illustrative art to a dignity and importance before unknown, and has developed capacities for the pencil before unsuspected. He has laid all subjects tribute to his genius, explored and embellished fields hitherto lying waste, and opened new and shining paths and vistas where none before had trod. To the works of the great he has added the lustre of his genius, bringing their beauties into clearer view and warming them to a fuller life. His delineations of character, in the different phases of life, from the horrible to the grotesque, the grand to the comic, attest the versatility of his powers; and, whatever faults may be found by critics, the public will heartily render their quota of admiration to his magic touch, his rich and facile rendering of almost every thought that stirs, or lies yet dormant, in the human heart. It is useless to attempt a sketch of his various beauties; those who would know them best must seek them in the treasure—house that his genius is constantly augmenting with fresh gems and wealth. To one, however, of his most prominent traits we will refer—his wonderful rendering of the powers of Nature. His early wanderings in the wild and romantic passes of the Vosges doubtless developed this inherent tendency of his mind. There he wandered, and there, mayhap, imbibed that deep delight of wood and valley, mountain—pass and rich ravine, whose variety of form and detail seems endless to the enchanted eye. He has caught the very spell of the wilderness; she has laid her hand upon him, and he has gone forth with her blessing. So bold and truthful and minute are his countless representations of forest scenery; so delicate the tracery of branch and stem; so patriarchal the giant boles of his woodland monarchs, that the' gazer is at once satisfied and entranced. His vistas lie slumbering with repose either in shadowy glade or fell ravine, either with glint of lake or the glad, long course of some rejoicing stream, and above all, supreme in a beauty all its own, he spreads a canopy of peerless sky, or a wilderness, perhaps, of angry storm, or peaceful stretches of soft, fleecy cloud, or heavens serene and fair—another kingdom to his teeming art, after the earth has rendered all her gifts. Paul Gustave Dore was born in the city of Strasburg, January 10, 1833. Of his boyhood we have no very particular account. At eleven years of age, however, he essayed his first artistic creation—a set' of lithographs, published in his native city. The following year found him in Paris, entered as a 7. student at the Charlemagne Lyceum. His first actual work began in 1848, when his fine series of sketches, the "Labors of Hercules," was given to the public through the medium of an illustrated, journal with which he was for a long time connected as designer. In 1856 were published the illustrations for Balzac's "Contes Drolatiques" and those for "The Wandering Jew "—the first humorous and grotesque in the highest degree—indeed, showing a perfect abandonment to fancy; the other weird and supernatural, with fierce battles, shipwrecks, turbulent mobs, and nature in her most forbidding and terrible aspects. Every incident or suggestion that could possibly make the story more effective, or add to the horror of the scenes was seized upon and portrayed with wonderful power. These at once gave the young designer a great reputation, which was still more enhanced by his subsequent works. With all his love for nature and his power of interpreting her in her varying moods, Dore was a dreamer, and many of his finest achievements were in the realm of the imagination. But he was at home in the actual world also, as witness his designs for "Atala," "London—a Pilgrimage," and many of the scenes in "Don Quixote." When account is taken of the variety of his designs, and the fact considered that in almost every task he attempted none had ventured before him, the amount of work he accomplished is fairly incredible. To enumerate the immense tasks he undertook—some single volumes alone containing hundreds of illustrations—will give some faint idea of his industry. Besides those already mentioned are Montaigne, Dante, the Bible, Milton, Rabelais, Tennyson's "Idyls of the King," "The Ancient Mariner, Shakespeare, "Legende de Croquemitaine," La Fontaine's "Fables," and others still. Take one of these works—the Dante, La Fontaine, or "Don Quixote"—and glance at the pictures. The mere hand labor involved in their production is surprising; but when the quality of the work is properly estimated, what he accomplished seems prodigious. No particular mention need be made of him as painter or sculptor, for his reputation rests solely upon his work as an illustrator. 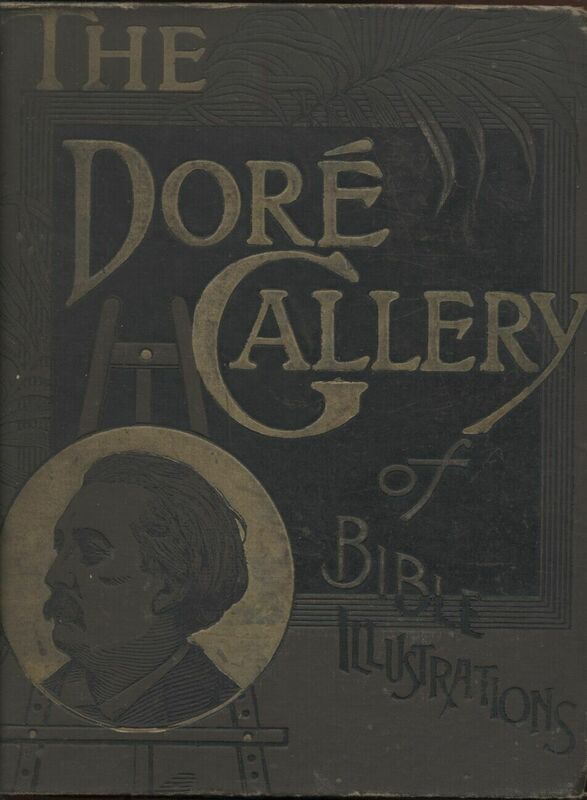 Dore's nature was exuberant and buoyant, and he was youthful in appearance. He had a passion for music, possessed rare skill as a violinist, and it is assumed that, had he failed to succeed with his pencil, he could have won a brilliant reputation as a musician. He was a bachelor, and lived a quiet, retired life with his mother—married, as he expressed it, to her and his art. 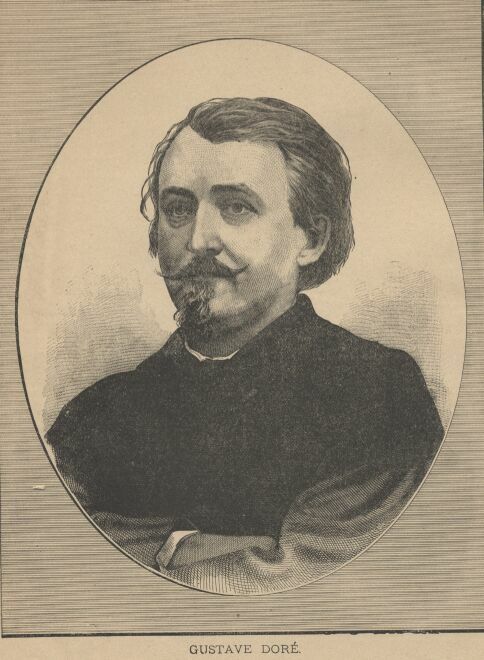 His death occurred on January 23, 1883.